According to statistics released yesterday, rightsholders identified a total of 3 million IP addresses in the past two years and France's Hadopi anti-piracy agency deemed just over a third worthy of receiving a 'first strike' warning. Less than 10% of these account holders went on to receive a second warning and just 0.34% of those went on to the third strike phase. In what is being framed as a victory by Hadopi, just 0.0012% of those who received a first strike have been referred to the courts. 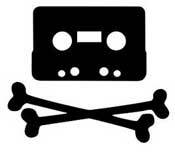 A little under two years ago France initiated its controversial “3 strikes” mechanism to deal with the complex issue of online digital media piracy. The system, which sees rightsholders monitor file-sharing networks for copyright infringements, is administered by the Hadopi agency. With the aim of persuading citizens to buy content from official outlets, alleged infringers are sent three warnings before punishments kick in. According to stats released yesterday and published by Numerama, during the last two years Hadopi have been very busy. Since October 2010, rightholders identified a total of 3 million French IP addresses. Of these, Hadopi considered just 1.15 million (38.3%) ripe for their “first strike” notice. In an indication that the majority of those receiving a first warning prefer not to receive another (either by stopping pirating altogether or just taking more care) just 102,854 (8.94%) went on to receive a second notice via registered mail. Perhaps the most dramatic drop can be seen in those who ignored both the first and second warnings and went on to receive a third. A total of 340 “third strike” cases were examined by Hadopi, that’s just 0.029% of those who received a first strike notice. So were 340 people then kicked off the Internet? Apparently not. It appears that unofficially the French 3 strikes system actually allows for four strikes. This means that those who sit on their third strike and do not get caught again during the next 12 months do not have their files sent to the prosecutor. But of course, there are those who choose to ignore all the warnings. In total, Hadopi conducted 30 hearings and eventually referred just 14 cases to French prosecutors. President of the Commission for Rights Protection Mireille Imbert-Quaretta said she is happy with the results so far and emphasized it is Hadopi’s job not to condemn and prosecute, but to persuade and educate. Perhaps not surprisingly, those receiving notices appear to become more interested in being ‘educated’ the more strikes they receive. After each strike ISP account holders are invited to get in touch with Hadopi for a discussion. Just 6% of those receiving their first warning got in touch, 24% contacted the agency after their second and 75% after their third. Despite the successes reported within the Hadopi system itself, the agency is short on government support. Last month French Culture Minister Aurelie Filipetti said that at a cost of 12 million euros a year, Hadopi is “an expensive way to send a million e-mails” and indicated that funding could be cut. But even considering the ups and downs, two years on and the big questions still remain – has piracy reduced and if it has, are media companies getting richer as a result? Figures available as of March this year suggest not. Whether that situation will improve with further ‘education’ remains to be seen, but one of the criticisms leveled at Hadopi by the Culture Minister is that the agency has failed to deliver when it comes to developing the availability of legal content. Reporting successes in that department should be a priority in the months to come. c There are 48 comments. Add yours?